The Tummy Tales: Fish Cutlets! A journey experiencing the very best of food!! For working professionals like me, a weekend comes as a gift from heaven. More than just a break from the routine of work it gives you time to spend with family, friends and more importantly the ‘me time’ we all need. It is important to cut away from the clutter and introspect at times; this gives us a good perspective on things we that we tend to miss in the humdrum of daily life. For me, the weekend is a time when I complete pending chores and yes of course, research new recipes and blog. While contemplating this week’s recipe, I noticed that the blog missed an entrée or accompaniment recipe; losing no time I decided to make good the deficit by posting one of my favorite recipes “Fish Cutlets”. 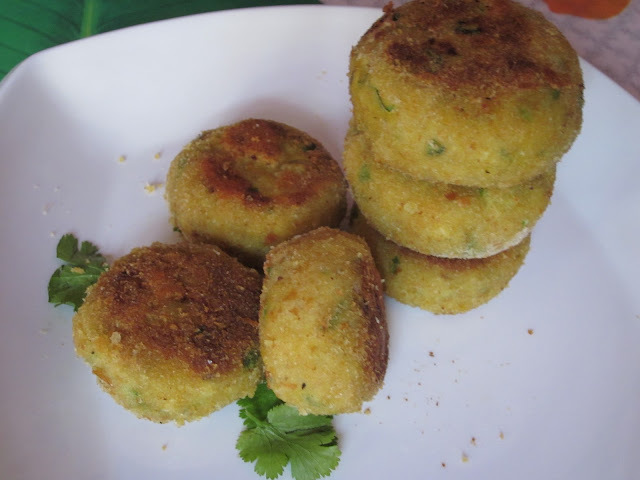 I loved cutlets even as a kid, my mum would make the mixture and fry it as a quick meal for me (since I was an ever hungry kid and would keep pestering mum for something to eat almost every half an hour). I am yet to come across someone who doesn’t like cutlets. Although cutlets are usually made from minced meat, fish ranks higher on my preference scale due to its nutritional value. 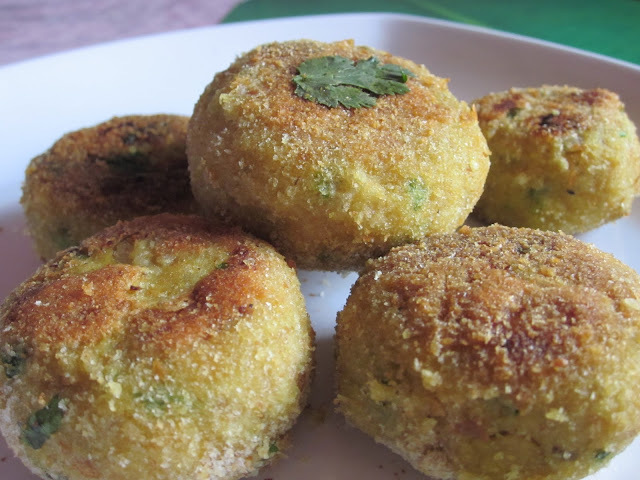 These cutlets are made within no time and can up the glamour quotient of even a simple meal. The test of a cutlet is its texture, dark and crisp on the outside and succulent on the inside. These turned out just the way I wanted them to, the crisp exterior that leads to moist fish meat that is seasoned with hot chillies and when you thought it was over, the tang of the lemon. Perfect bliss!!! Fish and potatoes make up a combination that is almost a meal in itself. My suggestion, make extra mixture; your family would sure demand them time and again. Mine did!!! Clean, wash the fish. Once this is done keep enough water in a deep vessel and boil the fish in it. Once this is done, de-bone the fish carefully; you wouldn’t want a bone in your cutlet right? Then, mince the fish evenly. In a bowl, add the minced fish, red chilli powder, turmeric powder, cumin seed, coriander, salt and keep aside. Now, boil the potatoes in a pressure cooker. Once done, grate into the fish mixture and mix well. In a pan, add a teaspoon of oil and fry the onions, garlic, ginger and chillies till they are cooked well. The onions will loose colour and garlic will turn slightly brown. Add the onion mixture to the fish mixture and mix so that all the ingredients integrate well. Wet your palm, take some mixture and form a medium sized patty. Coat well with the beaten egg white and the bread crumbs and fry till golden brown. This should take about 3-4 minutes a side. Just before you turn the cutlet once, add in the blob of butter. Adding butter will make the crust crispy and give it nice glaze. Enjoy with any sauce or ketchup of your choice.